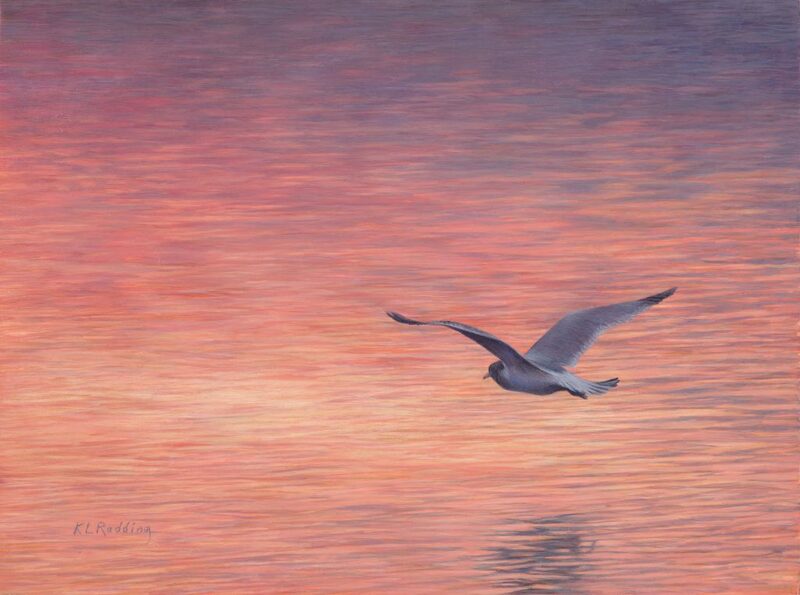 A gull glides off into a fiery sunset over the ocean. 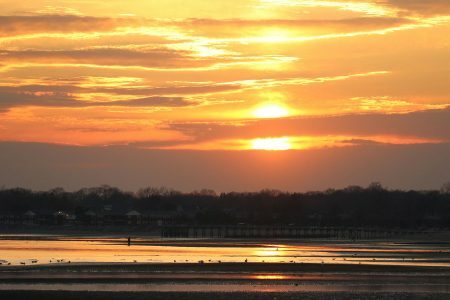 It is the perfect ending to a perfect day of birding on Connecticut’s shoreline. A shoreline that is increasingly rare for the average person or wildlife to enjoy. Population growth and development has encroached on public spaces in my home state. Unlike some states, Connecticut’s beaches are not all public, only state land is and that is few and far between. Wildlife and conservation efforts must fight for space with recreational use for Connecticut’s residents who do not own beachside land. Add budgetary woes into the mix that decrease the funds available for conservation and preservation, a direction that is not usually favorable for wildlife balancing on the edge. Our shoreline is used by many species not only year-round but as very important resting stops for birds during spring and fall migrations. The federally endangered piping plover and the state endangered black oystercatcher use our beaches to nest and raise their young. As population growth and private development encroach more and more on our beaches and shoreline marshes, wildlife that uses and relies on these ecosystems is potentially threatened. But there is always hope. There are groups of dedicated conservationists in Connecticut fighting for our wild spaces and for the wildlife that live there. They may be small in numbers but their dedication is fierce. I am determined to help in any small way that I can. I support my local Audubon with art shows, proceeds of sales go directly to educational programs. I have joined in the fight to preserve a small piece of shoreline watershed land to remain wild; supporting their efforts with artwork donations and leading art journaling hikes through the preserve. I am a volunteer monitor for the Connecticut Department of Energy and Environmental Protection Wildlife Division and the Audubon Alliance for Coastal Waterbirds program monitoring piping plovers and other shorebirds; observing, recording nesting data and educating the public about the birds and the conservation program. Vigilance, dedication and hard work do pay off. 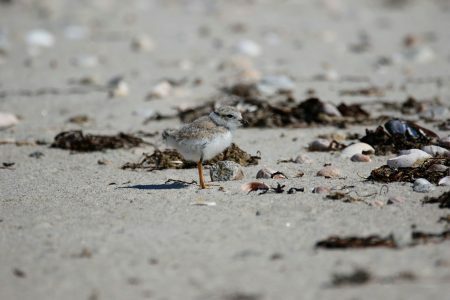 Preliminary numbers for the 2017 season show 66 pairs of Piping Plovers fledging 100 chicks, with the pair total being the most all-time for Connecticut and the chicks the fourth highest total ever. With careful stewardship, I believe that the piping plover and other species that depend on the shoreline habitats of Connecticut will continue to exist, but we must remain vigilant, dedicated and we must continue to fight the good fight on their behalf.